When you hear the words social change, what comes to mind? Some people think of government and politics, others think of social activists. 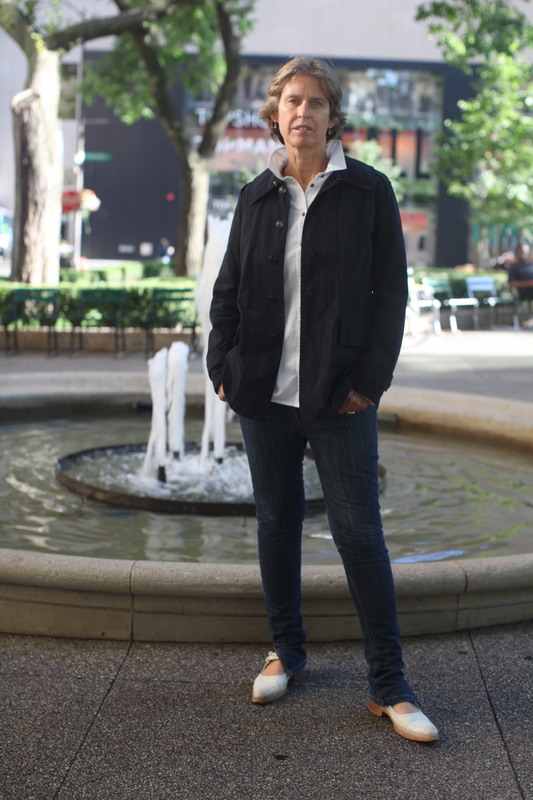 When Janeil Engelstad envisions social change, her definition includes collaboration, working across disciplines, flexibility, and trust. Janeil is the Founding Director of Make Art with Purpose, “an organization and virtual resource center for creative projects that are shaping and transforming our world in positive ways.” These projects will be showcased during MAP 2013, a festival and exhibition occurring during October and November 2013 in the DFW Metroplex. What inspired you to begin your work with MAP? MAP grew out of my own creative practice, working with communities and addressing social and environmental concerns for the past two decades. Beyond that, I saw a need for a grass-roots organization that promotes the work of artists and organizations who are doing this work internationally and also acts as a connector for these artists, groups, and people from other disciplines (such as scientists and community activists) who could come together through or via MAP to collaborate on a project. What do you hope to accomplish with the festival this fall? Producing MAP 2013 Dallas, my initial hope was to bring a handful of national and international artists, talk to local cultural, community, and civic organizations, and see what kind of impact we could have if we came together to produce projects that address concerns that are relevant both locally and globally, such as immigration and climate change. I also hoped, with this initial beginning of reaching out and bringing in, that a spark would be lit that would inspire people to come aboard and address their own needs and concerns. That has been successful beyond my wildest dreams. Local artists and organizations who have never worked this way are seeing this as an opportunity to engage their community and talk about issues that are import to Dallas, and that is inspiring – that organizations and artists are wanting to engage in a civic conversation. Additionally, there are legacy projects that leave something behind, which create something that is longer lasting than a conversation. Some examples are the DMA project, building a new garden at the Trinity River Audubon Center, and a new seating area within a natural dye garden at UNT. Describe your project with the DMA. This project grew out of several conversations with Susan Diachisin about the possibility of collaborating with the Center for Creative Connections. During this time, the DMA was in the process of rewriting its mission statement and returning to free general admission. This dovetails with a central part of MAP’s mission to provide access to cultural programs for communities that are often marginalized for one reason or another. Thinking about how we could bring our experience and knowledge together to create something new, I came to the idea of inviting community members to create a guide to the Museum. During Translating Culture…Community Voices at the DMA, twelve members of the Dallas chapter of Avance spent nine two-hour sessions at the DMA, during which they learned about the Museum’s collections and wrote their personal interpretations and connections about an artwork of their choice to be included in a printed tour for visitors in Spanish and English. 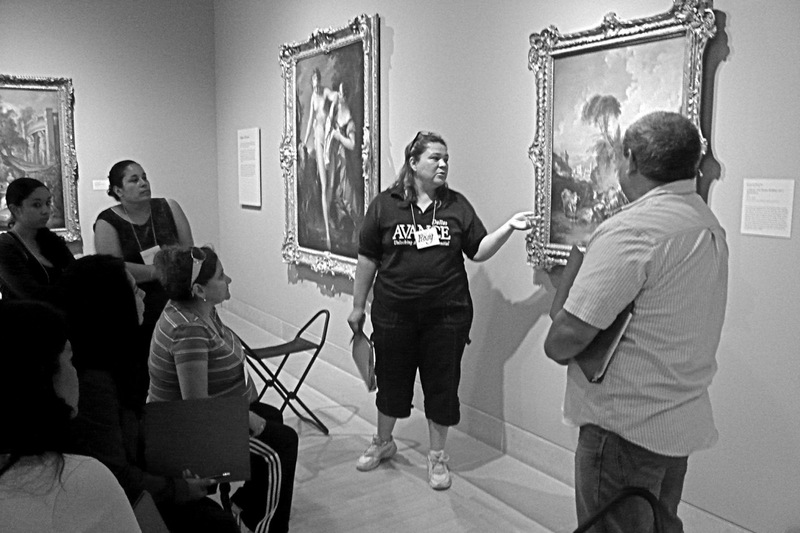 Rosy shares her insights about an 18th-century European painting during a group exercise early in the program. 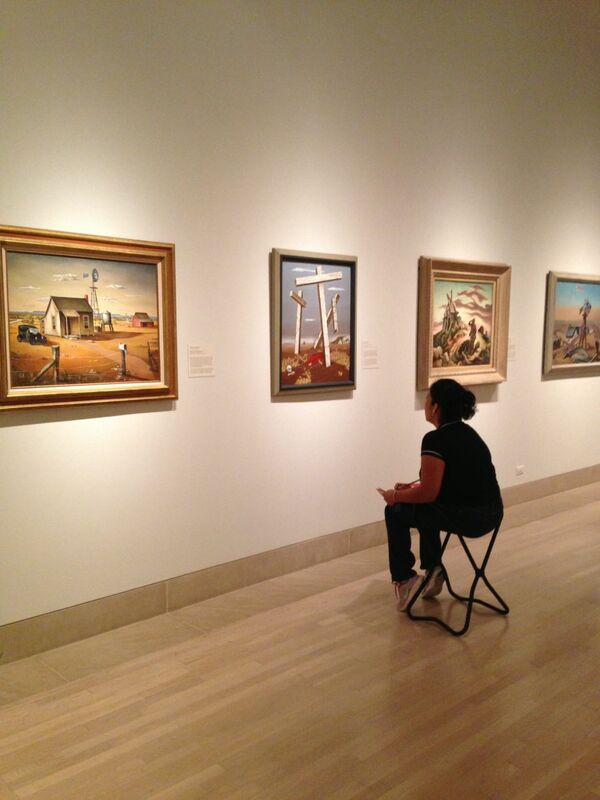 Bety contemplates a 20th-century American painting she has selected for the tour. 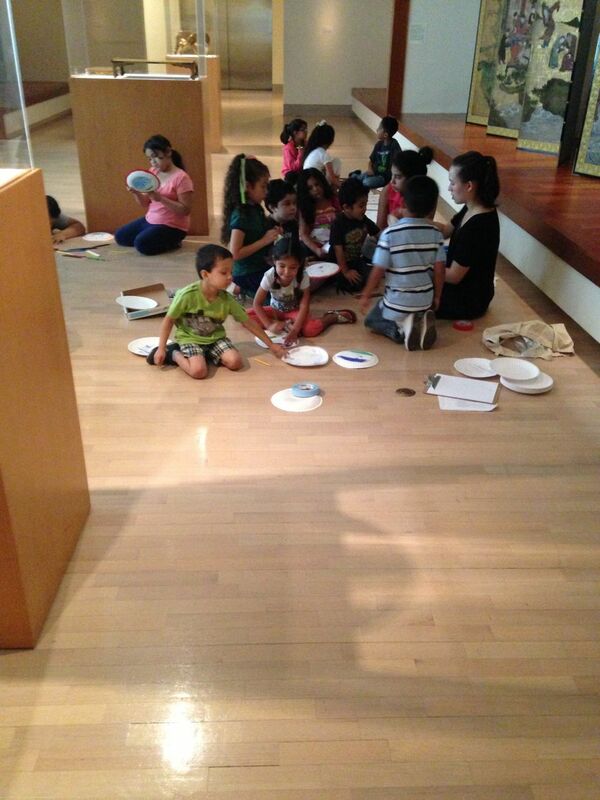 Participants were invited to bring their children, who made art projects in the Museum galleries with DMA and MAP staff. How do you tap into your own creativity? It’s not a conscious thing I do; rather, it ignites when I am swimming…or I could be meditating. If I know I need to come up with a creative idea or solution for something and the seed is planted, after a day or two it will evolve. It comes from a combination of my life experiences, my teachers, my collaborators, Spirit and all the things that inspire me. 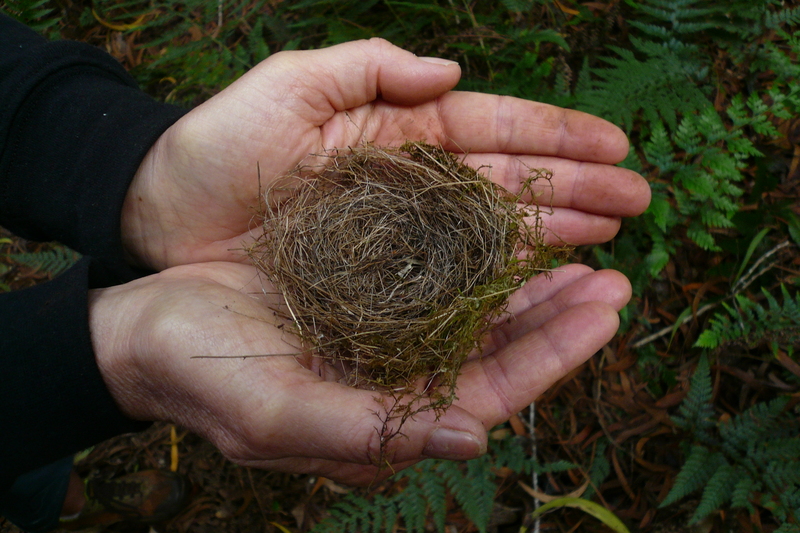 Janeil collects items from nature – such as bird nests that she discovers on the ground – by photographing the item in her hands. What will you do after the festival? Immediately after the festival, I am working on a project in collaboration with MIT where I’m guest-producing the winter, on-line issue of ARTMargins, which will include a main article in the print edition, linking these two platforms for the first time in the history of the publication. The issue focuses on Eastern European art, ecology, and sustainability. Next year, I’m starting work on something called the Mobile Ecology Art Lab, which is a MAP project that is a retrofitted shipping container that will go around the world and be used as a platform to produce MAP environmental projects: a sort of art center, community house, and school all in one unfolding, portable structure. For more information about MAP’s great variety of projects, visit www.makeartwithpurpose.net.